Pitch: Editorial resources for freelancers and clients. 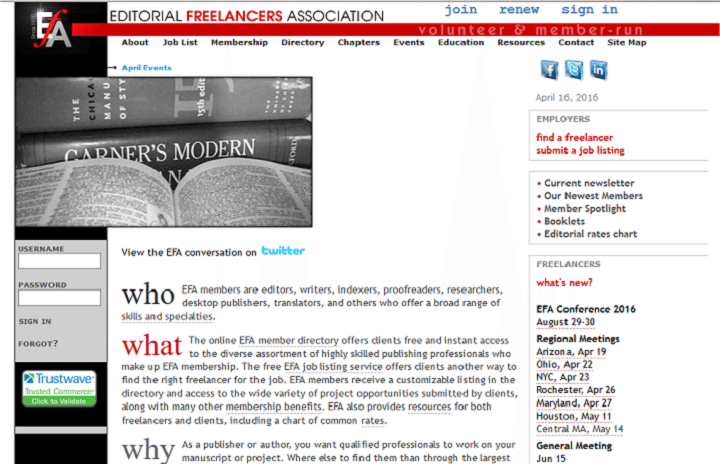 Summary: The Editorial Freelancers Association is a membership-based organization for freelance editorial professionals (editors, proofreaders, indexers, etc.). 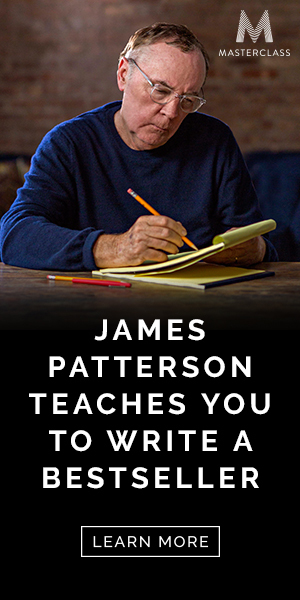 In addition to its member benefits, the EFA site features online courses, educational booklets on topics like manuscript preparation and building a client base, and their widely-cited editorial rates chart. Clients can submit job descriptions for free, or search the member directory for freelancers with specific skills or experience. Why authors should care about this resource: Member benefits include job listings, a bimonthly newsletter, educational and networking resources, and discounts on various tools and services–including health-care and dental plans (especially important for freelancers! ).